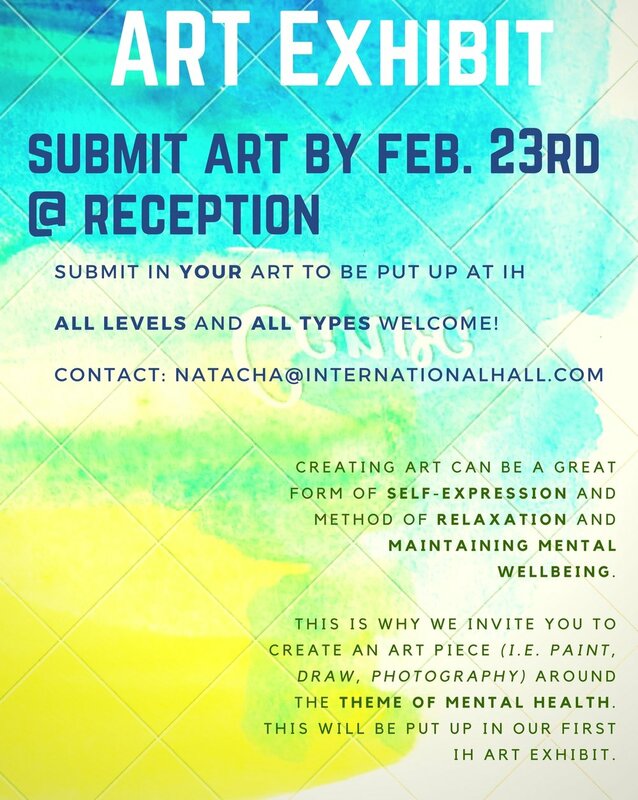 Take part in IH's 1st Art Exhibit! We will be hosting IH's first art exhibit showcasing all type of art pieces created by IH residents! We welcome all levels, no matter if you're an amateur artist or a professional one! The theme has to revolve around "community", in honour of Mental Health week at IH, which is emphasising "community". This can be around your IH community or even your communities back home! Not only will you be able to showcase your art, but creating art is a great way of relaxing and maintaining mental wellbeing! The IH atrium will then be turned into an art gallery for 1-2 weeks, where many will be able to enjoy your work. On the first night, we will have a special "gallery opening night" with free wine!